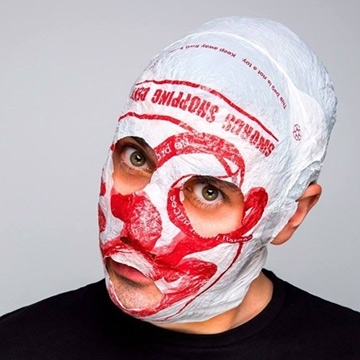 Blindboy's increased notability away from his band Rubberbandits, has allowed for him to explore wider avenues and create perhaps outrageously mind-altering brainchildren which can only be described as courageous, yet bonkers. With a number one selling book under his belt and a podcast that has reached interest not only in Ireland but internationally, the satirist could possibly single-handedly change people's mind set on mental health and the deafening stigma it surrounds. Outspoken, informed and empathetic, Blindboy engages his audience with an unusual touch of realism. There is a very authentic feeling of "freedom" Mr Boatclub exhumes which allows his listeners and participants to openly speak their mind without judgement and no topic off limits - certainly an air of belonging encircling the space you find yourself in when listening or in company of Blindly. His latest innovative creation, The Blindboy Podcast does not only indoctrinates mental health issues but reaches further into a wide spectrum of current topics, may it be gun laws, feminism, racism or a bit of history. Blindboy has it covered.